We love our Coffee. Have it with us or take it away! Why not have your wedding, function or special occasion at The Packing Shed or The Courthouse Cafe! 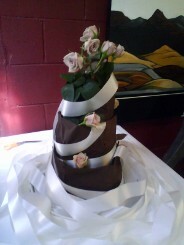 We can help you plan the event, develop your menu & even make the cake! 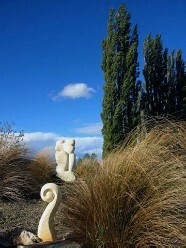 Beautiful landscaped gardens filled with sculptures and gold mining relics @ The Packing Shed Gallery & Cafe Boulton road, Alexandra. Beautiful food and Central Otago wines. The Packing Shed is the perfect place for Lunch, a function or Wedding. 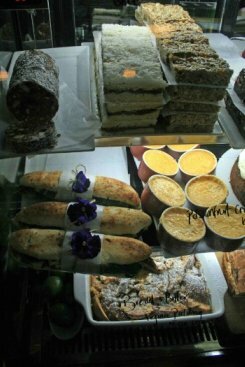 We have a large selection of fresh in house baking.